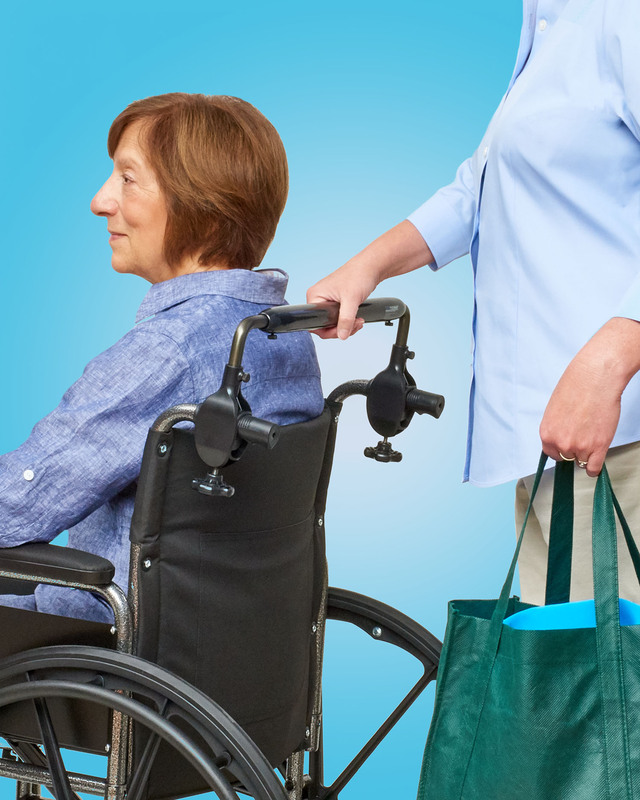 A new, patented ergonomic wheelchair push bar that attaches easily and securely to improve pusher comfort and permit one-handed control is being introduced by Greenmont Healthcare Products, LLC. of Manchester, CT. The Greenmont EasyPushbar™ easily attaches to the wheelchair’s handles and creates a single push handle that is about the comfort height of a typical shopping cart and lets a pusher stand straighter and have better control. Helping to reduce neck, shoulder, back, and wrist strain and fatigue, the EasyPushbar™ permits one-handed control, easier curb and ramp maneuvers, and is fully adjustable from 15-1/2” to 24” to fit most wheelchairs. Made from aluminum with the center push bar covered by durable overmolded ABS plastic, the Greenmont EasyPushbar™ is easy to attach over wheelchair hand grips without tools. As each knob is tightened by hand, the holding power is dispersed internally over the grip nubs to fit securely and create one fully rigid pushing handle which can also be quickly removed to allow for transporting or storing the wheelchair. The Greenmont EasyPushbar™ is priced at $109.00 (sugg. retail) and comes with a 5 year limited warranty. Distributor and dealer inquiries invited.